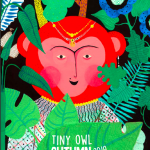 We’re always delighted to see new titles from diverse publishers Tiny Owl, who have a knack for searching out the most amazing stories in the world and whirling them up into fantastic books. 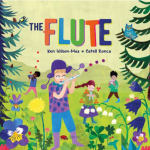 We’ve been taking a look at two new titles in their Autumn catalogue, each stunningly original and beautifully presented. 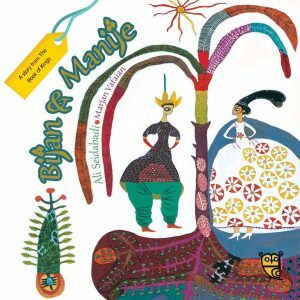 Starting off with Bijan and Manije by Ali Seidabadi with English translation by Azita Rassi and illustrations by Marjan Vafaian, it’s a stunning version of a story taken from the 10th Century Persian chronicles of Shanahmeh by poet Ferdowsi. The story of Bijan begins when by chance he meets the daughter of his sworn enemy. Against all odds, they fall in love and refuse to abandon each other, even under duress. 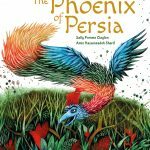 Can Iran’s greatest knight, Rostam, help save the day and bring warring nations to peace? 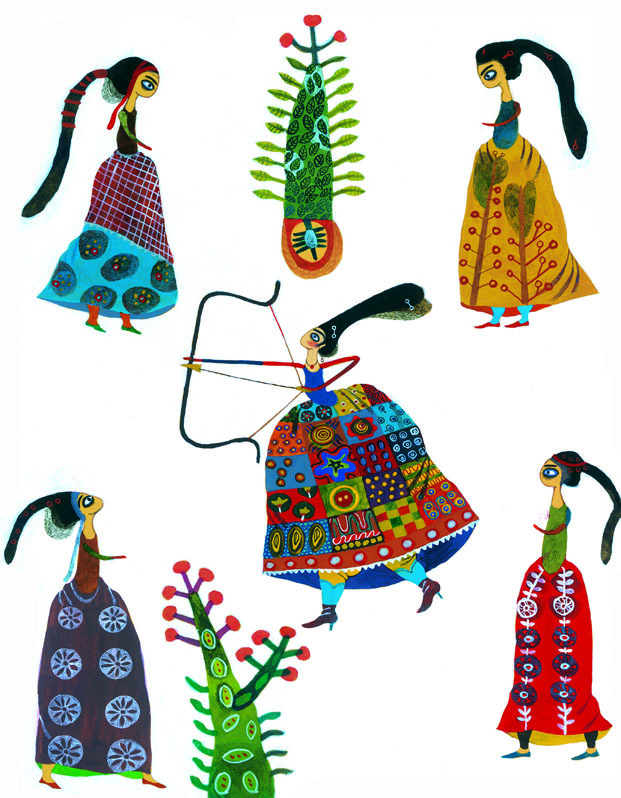 Shanahmeh (The Book of Kings) was traditionally the base of Pardekhani, a type of storytelling for the public where illustrations were made on large canvases and a narrator read the poems to the audience in coffeehouses and streets. In storybook form it’s equally stunning, with beautiful full colour artwork throughout. 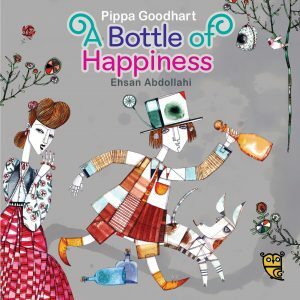 Also from Tiny Owl is Pippa Goodhart‘s “A Bottle of Happiness“, with illustrations by Ehsan Abdollahi. 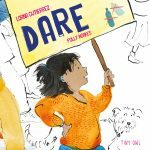 The story is a fabulous modern fable that goes full circle as it explores the value of possessions against values of friendship and fun. There was once a big mountain. The people on one side were rich and worked only in order to get even richer. The people on the other side of the mountain were poor in possessions but had a wealth of stories and laughter. One day a poor young boy decides to seek a new story and this leads him to the rich people’s market place. He would love one of the ripe pieces of fruit, but what can a poor boy trade? 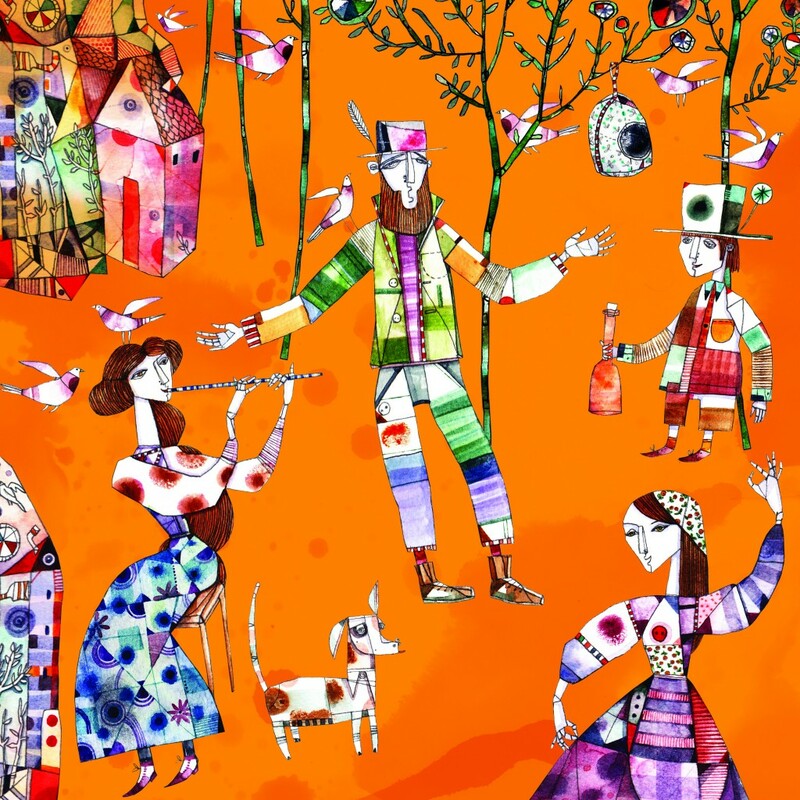 Find out if it is possible to bottle and share joy and happiness in this timeless tale with a fairytale feel, exquisitely illustrated in eye-opening and unusual style.